Fabulous, Full-Time Nanny Role, Wolvercote, Oxford, OX2. Fabulous opportunity for a capable and experienced nanny to care for a little boy (20 months) who loves to swim, paint, draw and play music. Mum works part-time and there would be a new arrival in April so baby experience is required. Mum would probably return to full-time work so this would then become a sole charge role. Light housekeeping is part of the role when the little boy attends nursery, but the primary focus is childcare. Location of the job: Wolvercote, Oxford, OX2. Minimum Experience Level for this job: 2 years. Training and Qualifications needed for this job: Childcare. Pay: £13.50 per hour gross, negotiable. 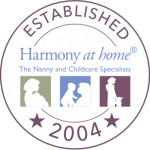 Harmony at Home Oxfordshire – Melanie Haslock acting as Employment Agency. To apply for this job please contact us with your CV ASAP via email melanie@harmonyathome.co.uk quoting the job ID: MCH 536 and call me on 07593781478 thank you.